$100,000 PRICE REDUCTION!! Enjoy Keyhaven Isles! Priceless water views are in every direction. With over 5 acres this is a true treasure. Enjoy as you meander like on a treasure hunt, you can head Over a small bridge, Around numerous different plants, birds, trees, Onto a little fishing pier, then Relax on the swing. 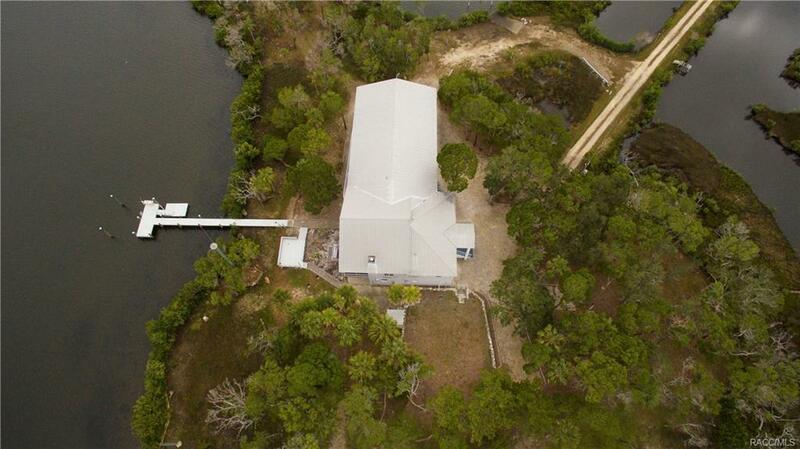 Next head To the dock and the deck area then By your private boat ramp. This 7 bedroom/ 7 bath home offers a unique lifestyle opportunity! The zoning even offers you the ability to apply for the chance to be a Bed and Breakfast! Not to mention, Added in 2002: 4 spacious suites; handicap accessible bath rooms and plenty of room for kitchenette, seating and bedroom area . Each have their own private exterior entrances from the charming 120 x 12 covered balcony/porch area with easy access to the 30 x 6 ft laundry room. Don't forget the downstairs tackle room, unique 7th bedroom suite or recreation room, central vacuum,.. The opportunities are endless.